2017-year is the sixtieth anniversary of the invention of the Flux-Cored Wire, or FCW, by Arthur Bernard and dating back to 1957. In these first 60 years, the flux-cored wire has lived a progressive rise of interest and use, motivated by its unique characteristics of weldability under operational conditions, high efficiency and flexibility and user-friendly application. We are explaining the main productive technologies, as follows. Today flux-cored wires can be classified by typology, wires of rutile, basic and metal-cored typology, or by productive technology, strip wires (or folded) or tubular (or seamless) wires. Concerning the classification by wire typology, the rutile-type wire is insuperable in applications under operational conditions (for instance in upright or overhead position) and it is highly appreciated for its high versatility and user friendliness; the metal-cored wire is mainly used to replace the solid wire and it is appreciated for its higher deposit levels whereas the basic wire is preferred in applications where are required high technical and mechanical performances, mainly with medium-high alloy steels. 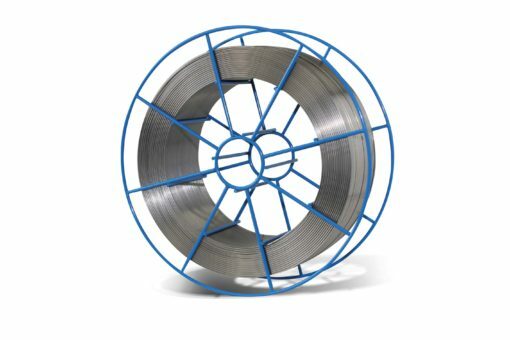 Referring instead to productive technologies, as we are going to explain more in detail in this article, the folded wire is essentially preferred for its weldability specifications whereas the seamless wire for the impermeability and the superior sliding. 60 years after this revolutionary innovation, a new step forward is incoming with the introduction of the laser-sealed productive technology, which synthesizes the main positive aspects of both production processes. The release of these new product ranges has been in the agenda for several years now in the discussions of sector players but just in 2017 the first producers of flux-cored wire are finally approaching the market with the first “laser-sealed” products. This short survey is aimed at tracing back briefly the history of the flux-cored wire since its origins until now, highlighting the reasons for its success in the market of welding consumables. The main typologies of product and process are described also introducing the characteristics of the new laser-sealed processes and highlighting the peculiarities of this new product typology. The first official witness regarding the devising of what is, under all respects, the evolution of the coated electrode welding dates back to 1957, year when the American inventor Arthur Bernard obtained by the Patent Office of the United States the acknowledgement of an innovative composite welding electrode. Such patent, successively assigned to the National Cylinder Gas Company, with headquarters in Delaware, USA, is based on the implementation of a composite electrode for continuous welding obtained starting from a metal strip. The latter, opportunely shaped and filled with flux, is afterwards closed through a mechanical process, actually representing the first example of discontinuous flux-cored wire called strip or more commonly “folded” (Figure 1). Figure 1 – Abstract from the original patent dated 1957. Since the half of the Seventies, various manufacturers have then presented on the world market numerous variants of folded flux-cored wires for MAG applications. Essentially, the manufacturing process of such wires still remains unchanged today and provides for the use of metal strips with about 15 mm width and thickness in the order of the millimetre. The manufacturing process starts with the “U” forming, followed by the filling in-line with some powders, called flux, and a specific proper procedure of limb closing of each manufacturer. In this stage, the semi-finished product achieved is brought to the diameter of finished product through successive processes of drawing and/or cold rolling. The closing system of limbs and the successive treatment of section reduction finally lead to physically similar products, even if actually the proprietary production technologies are different one another and often complex (Figure 2). The Swiss company Oerlikon Schweisstechnik, currently part of the Air Liquide Welding Group, was the first manufacturer of welding filler materials that developed a production technology of tubular flux-cored wires (with tubular we refer to a flux-cored wire whose metal mantle containing the flux is isotropic and without discontinuities), or more commonly called “seamless” and already in 1967 it attained the patent registration (Figure 3). Figure 3 –Abstract from the original patent dated 1967. In the original Oerlikon technology, the tube is obtained by forming in continuous a strip that features a width of around 45mm and a thickness of 2mm. Through a process of high-frequency induction welding, it is implemented a tube with an initial outer diameter of about 14 mm. Such tube is then subjected to annealing to eliminate the residual machining stresses and afterwards filled with the flux through vibration. Therefore, it undergoes first a first diameter reduction and, after a second annealing, it is subjected to the final drawing and the surface treatment. The productive process of the tubular flux-cored wire is schematized in Figure 4 where are highlighted the different processing phases. One of the main differences among the characteristics of the finished product obtained through seamless technology and folded technology concerns the profile in cross-section of the flux-cored wire. Concerning this, in Figure 5 are exemplified the cross sections of a seamless wire (continuous) and of three typical folded wires (discontinuous), attainable with different production technologies of wire closing. They are immediately evident the characteristics of permeability to the external agents and of anisotropy of the folded wire (through the discontinuity point of the outer mantle) which represent two of the main “vulnus” of this product class. Two technologies are generally used for the preparation of the flux contained in a flux-cored wire. A first methodology provides for the flux attainment by the dry blending of powders previously weighted in opportune proportions (minerals, ferroalloys, iron powders and so on); the second provides that the so obtained powder mixture undergoes a successive agglomeration process through liquid silicates, thus assuming the consistency of a granular flux. In both cases, depending on the hygroscopicity of the raw materials used, we achieve fluxes that are generally sensitive to the moisture absorption. The folded production technology can indistinctively use both blended and agglomerated fluxes because the in-line filling system can be managed and optimized, thus avoiding segregation phenomena. Typically, the use of non-agglomerated fluxes is preferred due to reasons of productive simplicity and low process cost, as well as to reduce the product sensitization to the moisture adsorption. On the contrary, the seamless production process exclusively provides for the use of agglomerated fluxes, to avoid those segregation phenomena that might occur in filling phase and consequently result in a minor stability and chemical homogeneity of the finished product. “Even if the use of agglomerated fluxes is very effective in the homogenization of even strongly heterogeneous mixtures, like in the case of welding fluxes, the compositional homogeneity of the finished product, especially in the productions of big quantities, remains typically inferior compared to what achievable through folded” productive technology. Figure 4 – Schematization of the production process of seamless flux-cored wire. The progressive diffusion of flux-cored wires and of the consequent FCAW (Flux-Cored Arc Welding) welding process mainly occurred as substitution of the more consolidated welding processes with solid wire (Gas-shielded Metal Arc Welding) and with coated electrode SMAW (Shielded Metal Arc Welding). Among the most appreciated characteristics of flux-cored wires, it is worth mentioning productivity first, to the extent that today are well-known and widely documented the advantages deriving from the use of flux-cored wires, both folded and seamless, in comparison with Gas-shielded Metal Arc Welding and Shielded Metal Arc Welding. It is very simple to understand the advantages that the flux-cored wire use can provide in substitution of the electrode: higher deposition speed (kg/hours) and higher, with reduction of interruptions and relative superior continuity in the application. This results in a very remarkable reduction of execution times, a labour saving and then lower cost of the welded good. Using a basic flux-cored wire as alternative to an electrode, execution times can decrease to even 60-70%. If we add to all that two hindrances of the electrode welding, i.e. the ever-rising difficulty in finding welding operators expert in SMAW and the impossibility of automating the process, the constant preference for the flux-cored wire is more evident than ever. Figure 5 – From left to right, section of continuous seamless wire and of folded flux-cored wire with closure with straight limbs, with opposing faces and overlapping. On the other hand, the comparison between the flux-cored wire and solid wire provides less evident results that must be better understood not to generate easy but wrong conclusions. The major advantages supplied by the flux-cored wire lead to attain productivity performances that are by about 30% higher than the solid wire welding, especially in the case of welding in position, providing even more evident advantages in quality and in the mechanical tightness of joints. 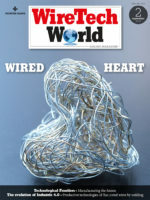 From this point of view, despite the constant technological innovations on new wave forms and pulse generators in welding plants aimed at extending the solid wire use, the use flexibility of a flux-cored wire of rutile type, both with gaseous protection or self-protected, is unrivalled today from the point of view of the so-called use “in operation”, i.e. mainly in vertical ascending position (3G) and overhead position (4G), and this thanks to the welding bath operated by the slag. Applications that do not allow handling the component to be welded, and the consequent execution of the “bench” welding in plan, like for instance the shipbuilding and the offshore industry, cannot in fact set the use of these products aside. Secondly, a flux-cored wire allows attaining a higher deposition rate (kg/hour) due to the use of higher welding currents, in comparison with the corresponding solid wire with equivalent diameter. To understand such statement, it is necessary to consider that the quantity of electric energy needed to melt the wire by Joule effect is exclusively correlated to the melting of its outer mantle because the flux contained inside melts instead by thermal conduction. Therefore, the minor is the resistant section of the wire, the bigger will be the quantity of material that melts by thermal conductivity and consequently the higher the overall wire efficiency. This advantage of the flux-cored wire is further amplified by the fact that typically the heat input (then the amperage) is the main limitation in an arc welding application and, due to the previous remark, it derives that, given the diameter of a wire, the welding of a solid wire would require the use of amperages up to 30% higher than the flux-cored wire, with consequent higher thermal impact and higher risk of degradation of the mechanical characteristics of the welded joint. The latter characteristic is fundamental in the economic sustainability of the flux-cored wire and especially to balance with the productivity rise the higher product cost compared to the solid wire. Other reasons often make the producers of welded goods opt for the flux-core wire, FCW, as alternative of the less expensive solid wire; one of them is the possibility of introducing ionizing and stabilizing elements of the arc inside the wire composition. This prerogative of flux-cored wires allows a better arc constancy and a reduction of sprays, with consequent decrease of the post-welding cleaning work, especially in case of successive painting. Moreover, many alloy elements are hardly managed inside the steel casting from which the solid wire is achieved, such elements in fact harden the material to the extent of determining an insufficient mechanical machinability to produce the required solid wires correctly. This results in the use of low-medium alloy flux-cored wires for chemical formulations enriched with elements like Cr, Mo, V, Ti, W, B, etc. or for the production of material grades that are not compatible with the typologies or the quantities supplied by steel mills. A first advantage of the seamless product compared to the folded springs from the mantle continuity and is connected with the impermeability of tubular flux-cored wires. They, or better the fluxes contained in them, do not absorb the humidity contained in the atmosphere, thus avoiding the occurrence of typical defects in welding phase, like for instance porosity, cold cracks and the formation of blowholes. Therefore, irrespective of the stocking duration and of its conditions, the levels of diffusible hydrogen attainable in the metal deposited by a seamless flux-cored wire are very low; all that without the need of implementing expensive and complex reconditioning processes before use (Figure 6). A further characteristic deriving from the wire impermeability concerns the possibility of executing a surface coating treatment with the conventional electrochemical and chemical electroless techniques typically used in this sector. Copper plating is the preferred coating by excellence in this product category, since it allows (1) excellent feeding properties also in drive systems with long sheaths and complex geometries (2) very low abrasion of all the metal parts with which the wire gets in contact (conduction cables, nozzles and so on, Figure 7) (3) resistance to the surface oxidation (the internal oxidation is prevented by the mantle tightness) and (4) excellent electric conductivity that favours the current passage from the current tube to the wire, drastically limiting the inherent voltage drop and consequently the overheating of the tube itself. Figure 6 – diffusible hydrogen in the deposited metal depending on the exposure in wet environment (hours at 27°C and 80% humidity). Figure 7 – Welding test of 30 min, diam. 1.2mm at 300A, 30V, with initial tube weight of 15 g.
A second advantage deriving from the continuity of a tubular wire concerns the productive flexibility: in fact, in welding phase, the perfect circularity that characterizes the tubular wire section, without ovalizations and any geometrical imperfection, is very useful in the sliding characteristics, especially when very long sheaths are used. A plus in favour instead of folded flux-cored wires compared to seamless wires concerns, besides the already mentioned higher chemical homogeneity of the finished product, also the typical features of weldability. Typically, a good folded wire (i.e. when well formulated in all of its flux components) is characterized by a limit current for the attainment of the spray-arc regime up to 10-20 Ampères, lower than the equivalent seamless wires. Besides, it typically grants a minor quantity of projections and a more stable arc, on average, than seamless products, especially when used in conditions of low thermal input, highly appreciated in numerous industrial applications where they want to minimize the dilution effects. Flux-cored wires offer then a series of advantages when compared with electrodes and solid wires and, witnessing that, their use has progressively grown in time. It is very important to understand the various productive processes of flux-cored wires as they precisely determine some of their important operational characteristics. The various manufacturing aspects of the seamless and folded process give birth to some of the typical operational characteristics of the two products. Using a folded flux-cored wire, we notice the onset of a stable spray-arc transfer starting from lower current values if compared with those necessary for a seamless wire. On the contrary, seamless flux-cored wires, even if they need additional 10-15A to enter the spray-arc regime, they grant then higher weldability when we want to use particularly high electric parameters. The discontinuous nature of the folded profile limits, compared to the seamless one, the usable stick-out length, which must be considered in the welding of extreme profiles with limited accessibility. Moreover, the isotropy of the seamless wire allows its use as alternative to the solid wire also in presence of very long sheaths (15-20m) and very severe push-pull drive systems without needing the use of knurled wire driving rollers. What exposed can be conveniently summarized in a comparative table (Figure 8). Figure 8 – Summarizing table of the main differences connected with the implementation process of FCW. In this period, there is great interest in the development of suitable flux-cored wires for the welding of the numerous new steels that are appearing on the market, characterized by increasingly controlled chemical formulations and ameliorative mechanical performances. Reducing thicknesses and consequently the weights of manufactured goods represents in fact one of the main targets in the almost totality of applications. The need of granting almost punctual chemical formulations, of depositing the minor quantity of hydrogen and of granting at the same time the highest productivity is therefore the challenge that consumable producers are called to accept in the devising and development of new consumables. Currently, flux-cored wires provide the answer that best matches productivity and quality requirements. In the last years, some industries of consumables have tried to combine the productive characteristics of folded flux-cored wires with those of seamless ones and in this context, among the leader producers of consumables, it is worth mentioning, as first successful examples in this field, ESAB with the release of the new range of Primeweld products– rutile-type flux-cored wire – , Voestalpine with the introduction of a set of metal-cored type products and Oerlikon, still in the ambit of rutile-type flux cored wires. Oerlikon brand, in particular, through the productive process NLT (New Laser Technology) whose patent was registered in 2011, has concentrated years of research and development and represents the last evolution in the production of flux-cored wires. Also in this case, the flux-cored wire is implemented starting from a steel strip that undergoes an initial U-forming. The flux is then deposited through a continuous process inside the profile, thus granting the utmost filling homogeneity and an optimized filling rate (Figure 9). Figure 9 – NLT technology, from left to right: forming, in-line filling, in-line laser welding, drawing and surface treatment. Figure 10 – NLT technology, micrographs of the wall welding. Besides, the execution of the filling phase in line provides numerous advantages from the point of view of the characteristics of the product and of the productive process. First, it allows both the use of dry blended flux, as in the case of the folded productive process, and of agglomerated flux, thus leaving the highest formulation freedom. This process intrinsically grants the achievement of high precisions and homogeneities in any phase of the production process. Besides, the use of dry blended fluxes does not require the use of silicates that, if not opportunely treated, can be source of humidity. The profile is then closed and hermetically sealed by using of a laser welding. In the wire closing phase, the laser is programmed to preserve the chemical characteristics of the flux, avoiding that it undergoes transformations caused by heat and radiations (Figure 10). As consequence of that, the NLT technology allows then obtaining flux-cored wires characterized by extremely low hydrogen levels (<3ml/100g) and by almost null humidity uptake, improved also compared to the traditional tubular wire. Once sealed, the NLT flux-cored wire shows a continuous surface, fully comparable to the one achieved in a traditional seamless process, with all typical advantages of the seamless wire: in particular, the impermeability, which preserves the low content of diffusible hydrogen, and the consumable isotropy that favours its use in automated plants with even high sliding speed. The final part of the process provides for the execution of the copper plating surface treatment, aimed at conferring specific wire functions, which essentially optimizes its electric and geometry conductivity, minimizing eventual ovalizations. Therefore, the table 8 can be completed including the NLT technology (Figure 11). Figure 11 – Summarizing table of the main differences connected with the implementation process of FCW. 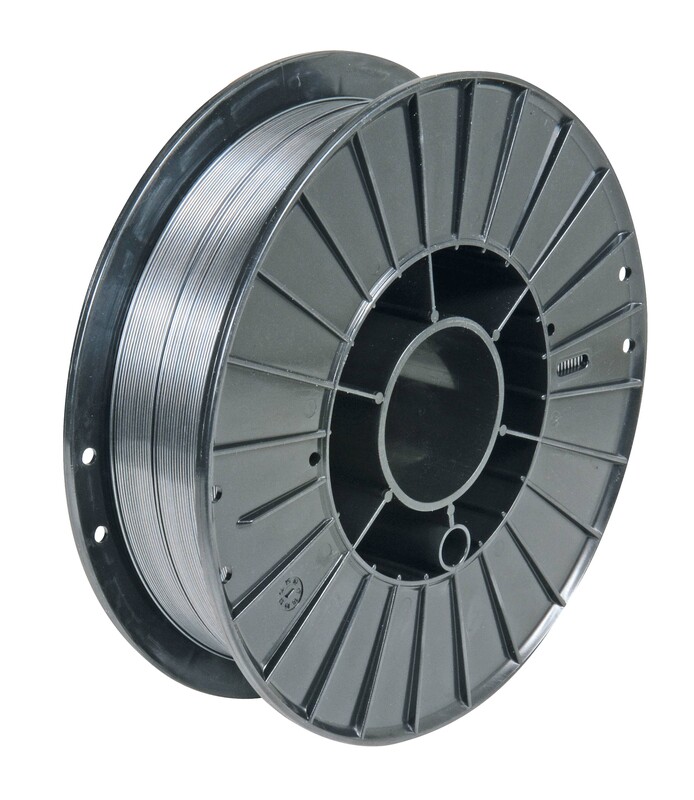 Since its introduction in 1957, the flux-cored wire has progressively increased its diffusion on the market and it is more and more appreciated, mainly for its flexibility and its unique characteristics of weldability under operating conditions. Two product typologies are essentially present on the market: the tubular and the strip wire, more commonly called seamless and folded respectively. Each of these typologies has its own qualities and defects, in particular the seamless wire can grant low levels of humidity and diffusible hydrogen, as well as high reliability in automated applications thanks to the wire isotropy and the surface coating; on the other hand, the folded wire typically grants better characteristics of weldability with spray-arc range at very low current limit. They have recently released on the market a new typology of flux-cored wire able to match the best characteristics of both folded and seamless flux-cored wires, therefore having the potentialities for representing in the future the new reference product: laser-sealed. This technology combines a process of in-line filling that can be fed with both dry blended and agglomerated flux, with a geometrically isotropic and hermetic finished product. The first products have been recently available on the market and it is common opinion that gradually they can arouse interest and represent the new reference point in this sector.